As you might have noticed we have been a bit inactive the past few months, we were both very busy with our final year of school. Now our time at school has come to an end and we can focus on making new music again! 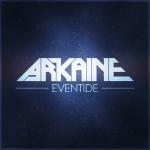 As a thank you for staying with us we have a free track for you; Eventide!